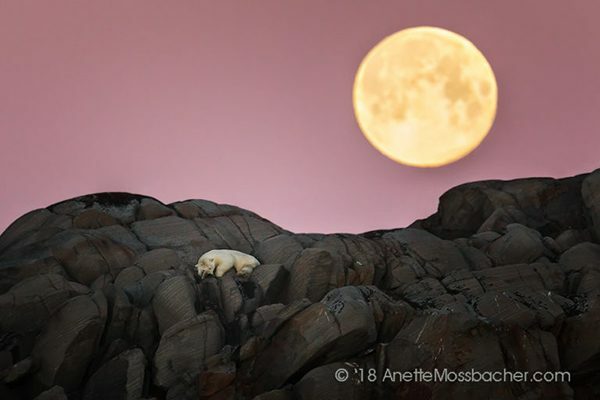 My name is Anette Mossbacher, and I am a photographer with a deep-seated interest in the natural world. It has been my life’s work to photograph wildlife species, and majestic landscapes, on virtually every continent of the Earth. Some of my favorite memories include photographing the orangutan in the verdant rainforests, capturing images of lions and majestic elephants proudly strolling the African savannah, and getting up close and personal with polar bears in the Arctic Sea. I have traveled extensively in pursuit of these unique animal encounters and awe-inspiring natural scenery. I am a full-time nature photographer, and I’m thrilled to share my photographic work with those that love nature as much as I do. This is especially true of those enthusiasts who have an interest in sharing my experiences – through a range of fine art photography, photo prints and stock photography images. A vast array of my work is available to you on my website. My experiences have taught me the importance of commitment, hard work, dedication, ambition, and most importantly – patience. 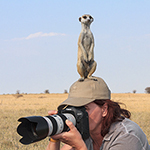 These skills and attributes are vastly important in my work as a wildlife, landscape and nature photographer. When one becomes a professional wildlife, landscape and nature photographer – harsh conditions and hostile environments are part of the job. My background in sports plays an influential role in my ability to maintain a positive mindset and stay focused while out in the field. I like to think of challenges as a source of motivation rather than an obstacle. I undertake a diverse range of projects including commissions and photographic assignments. My clients include individuals, corporations, small businesses, and publications from all over the world. My photographs are available for immediate download including; stock photos, landscape and wildlife photography prints, as well as art prints for the home and office. I also sell exclusive collectible prints, which are numbered and limited and available to view in my limited-edition collections. This entry was posted on Monday, February 11th, 2019 at 11:46 am. It is filed under Animals / Wildlife, Artist Profiles, Landscape, Nature and tagged with landscape, nature, photographer, wildlife. You can follow any responses to this entry through the RSS 2.0 feed.